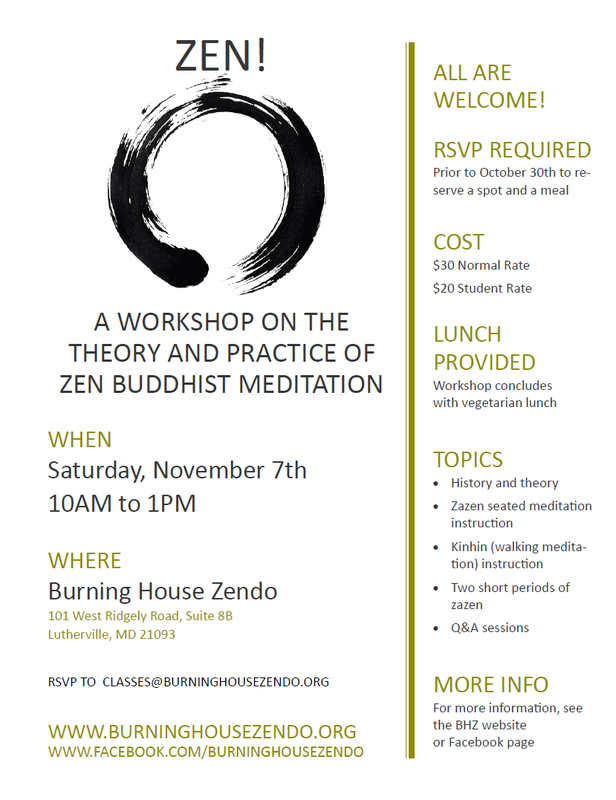 Burning House Zendo will be offering a workshop on the theory and practice of Zen Buddhism on November 7th 2015 between 10AM and 1PM. If you are curious about learning the basics of Zen, including zazen (sitting meditation) and kinhin (walking meditation) – this one is for you! We’ll definitely be covering some aspects of the practice that new practitioners find challenging (posture, practice techniques, other topics).